Rob Phillips and his wife Brandy Morrow Phillips are no strangers to the automotive world or the Specialty Equipment Market Association (SEMA) show held each November in Las Vegas, Nevada. Rob grew up working on cars alongside his uncle. The experience he gained from drag racing and working in speed shops landed him a role on the popular television series Overhaulin’ as lead project manager. When the original show ended, Rob Phillips decided to branch out and start his own shop. 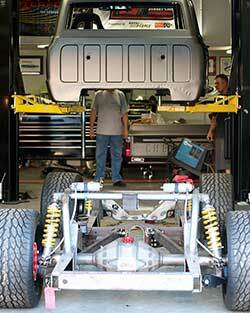 Rob gained notoriety when his 1969 Chevy C10 pickup truck was taken to the SEMA show in 2007, 2008, and again in 2010. Building cars and attending shows introduced Rob to the world of Autocross competition only to quickly become hooked on the sport. Like Rob, Brandy grew up around cars since the 1990’s joining her father, who works in the automotive aftermarket industry, at SCCA and NASA events. Brandy began competing and attending driving schools after getting her license. In 2008 Brandy was given the chance to compete in several Spectre Performance vehicles as part of a marketing program for the company. Her diligence paid off in 2011 when she won her first Goodguys Autocross event at the 2011 Goodguys Nationals in Columbus, Ohio. Brandy hung up her driver’s suit in 2012 in favor of maternity clothes as the couple started a family. Even before their son was born, Rob and Brandy were making plans for their next project vehicle. Despite a long list of candidates the couple kept coming back to a Chevrolet C10 pickup. 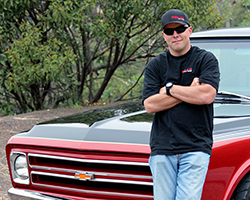 Rob had used his 1969 Chevy C10 show truck to compete in autocross and pro-touring events. His experience with the Chevy C10, and the fact that he had already begun designing and testing modifications intended for his truck, made the decision to build another C10 a no-brainer. 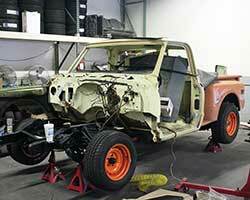 Rob set aside his 1969 C10, and while Brandy was still pregnant, they acquired a 1972 Chevy C10 and began the tear-down and modification process. The C10R concept first came about when Rob wanted to rebuild his 1969 C10 and take it to the next level of competitiveness. 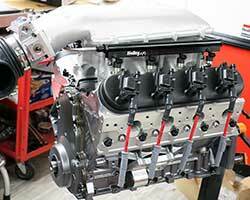 Using knowledge gained from racing the 1969 Chevy C10 truck, Rob knew what worked well and what didn’t. The goal for the C10R was to keep it from becoming a full blown race car, but still be able to hang with the top competitors in their race circuit. 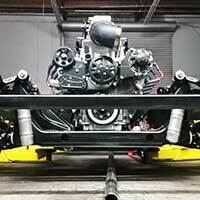 The couple chose to experiment with new products including a Detroit Speed and Engineering front suspension set up, and a custom rear suspension designed and built by Phillips. Many of the modifications Rob and Brandy are making to the C10R are unproven and until the truck is completed they can only hypothesize on how the C10R will perform. The Phillips’ 1972 Chevy C10 based C10R project vehicle has been over two years in the making. The C10R is scheduled to make its debut at the 2014 SEMA show to be held November 4th through the 7th at the Las Vegas Convention Center in Las Vegas, Nevada. The C10R will be the featured vehicle in the Spectre Performance trade show booth located in the Performance Hall. Be sure to follow the progress of the Phillips’ C10R on SpectrePerfomance.com as the build nears completion. 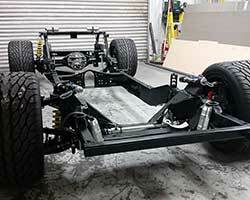 The final reveal is set to be during the 2014 SEMA show. Since 1983 Spectre Performance has designed and offered unique, innovative, parts and components to fuel your car or truck obsession. Whether your fixation happens to be a classic muscle car or a late model pickup truck, Spectre will help fuel your passion for performance. Please use the Spectre Performance vehicle search tool to find parts specific to your vehicle.